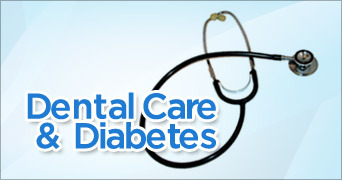 Diabetes and Dental Health – A Small Introduction! If you are a diabetic or have a history of diabetes in the family – you might want to read this! hough the initial symptoms like excessive thirst, excessive urination, weight loss and tiredness and later medical manifestations like retinopathy, kidney failure, nerve disorders, etc. 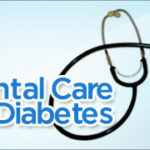 are well known, there are various major oral manifestations and dental problems associated with diabetes that are not well known nor are they fully understood. 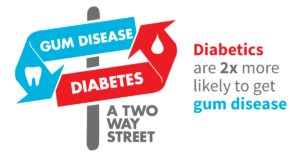 Diabetes and Gum Disease – A Vicious Circle! nd the result are not as favourable as a non-diabetic patient. And as the gingival condition deteriorates, the gums start receding and forming small gaps (periodontal pockets) that provide a safe haven to micro-organisms and creates areas where food particles get accumulated. This leads to further damage to the gums and also increases the risk of proximal (interdental) cavities. Hence, diabetics are more prone to gum problems directly and cavity issues indirectly. Even the Dental and Oral Treatment modalities are rather different for people suffering from diabetes; and a bit handicapped if we may add. As pointed out, the prognosis (direction of the final outcome) is different and the risk of secondary infection is also higher. 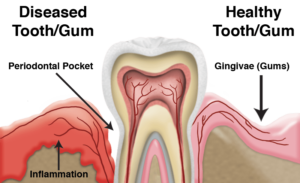 Extraction if needed needs to be planned very carefully due to the risk of potential Dry Socket Formation (infection of the bone at the extraction site). Implants need to be inserted as Atraumatic to the bone as possible and periodically monitored due to increased risk of Peri-Implantitis (Infection at the Implant site). The age old saying “Prevention is better than cure” could not be more apt in this case. Diabetic patients can lead a normal healthy life if they are a bit careful in their approach towards maintaining oral hygiene and ensure timely dental check-ups. Visit a Dentist at least once in 6 months so that minor problems can be detected and treated early and non-invasively leading to minimal chance of infection. Maintain good oral hygiene by brushing (gently) once in the morning and doing Warm Saline Gargles (W.S.G.) before bedtime as a daily routine. In case you observe symptoms or changes like blood while brushing, a certain sour taste in the mouth, more frequent food lodgement between teeth, where none existed earlier; please contact your Dentist immediately. Any discomfort or pain in the teeth or gums (oral cavity) should not be taken lightly. Visit your dentist at the earliest in such cases. Never be in a hurry to get an extraction or an implant (take multiple opinions if needed) and always keep your general physician or diabetologist informed in case any major dental intervention is required. In case of a major dental treatment, don’t forget to visit your dentist for regular follow-ups. Remember, a little timely intervention can not only help you lead a quality life but also save you from a lot of trouble, pain and expense later. 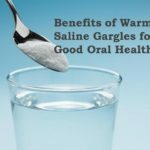 6 Reasons Why Warm Saline Gargles are a Must for Good Oral Health! Bleeding from Gums? An Ominous Sign of Poor Oral Health! Clenching your Teeth while you’re Asleep? Not a Good Sign for you! Copyright © svdental. All rights reserved.